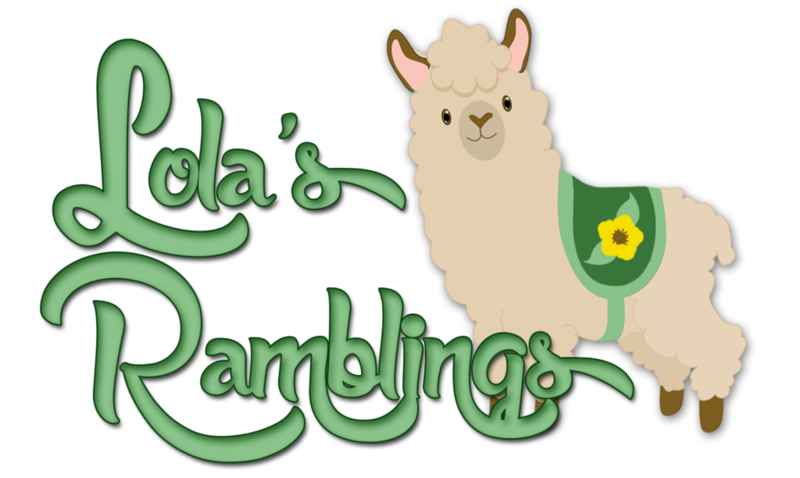 Lola’s Rambings is a feature on Lola’s Review where I talk about me. Usually these posts are everything that doesn’t fall under any standard header, like blog tours, book blitzes, cover reveals or reviews. Lola’s Ramblings posts are are personal discussions of a certain topic. Sometimes about book related topics and sometimes about non-book related topics. This feature was previously known as About Me. The banner for this feature is designed by Michelle from Limabean Design. Money isn’t a topic I often talk about on the blog, I like to keep things positive and thinking about money usually makes me sad or frustrated. Basically we struggle. We need my mom’s financial help to pay the bills and groceries. Nevertheless having little money does cause you to learn new things. So today I wanted to share some tips how I spend as little money as possible while grocery shopping. I am always very conscious about money while grocery shopping and over the years I learned a few tips and tricks that come in handy. Keep in mind that I live in the Netherlands, so things might be different were you live, for example we don’t have coupons here, but most supermarkets do have weekly sales/discounts and every week different products are discounted. Look for discounts. This is one of the most obvious ones, so let’s start with that. If you do your grocery shopping at the same supermarket each week check out the discounts before you go grocery shopping. Discounts might allow you to buy things you normally can’t afford or you can buy something you might need in a few weeks now as it’s discounted this week. I usually check the new discounts before I start making my menu plan, so if any ingredients are really cheap I can make something with that. Substitute products. This one doesn’t work for all products, but I found it to be very helpfull to think of substitute products. Basically wonder if there is a different and cheaper product you can use instead when you need a certain ingredient. For example I love eating naan bread with my curries, but naan bread is a bit pricey. So one day while grocery shopping we thought to use pita bread instead. The cheapest pita bread gives us enough to eat curry twice and is cheaper then naan for only one time curry. Another example is to use (greek) yoghurt in curries instead of creme fraiche, it might not be a big difference, but even the small things help. Compare prices and buy a cheaper brand. This is one of the more obvious and easy ways to spend less money. Simply compare prices between the multiple brands which are available at your supermarket. At our supermarket you can check the price per kilo which makes for easy comparisons. With a lot of products you probably won’t taste the difference between a cheaper or pricier brand. In some cases the difference is obvious, so make sure you know when you can afford to buy a cheapr brand and which products you don’t want a cheaper brand as the taste isn’t good then. Then you can set your piorities, like you will pay for the pricier brand for product A, but buy a cheaper brand for product B and C where the taste doesn’t matter. 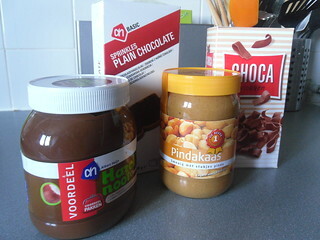 For example with peanut butter I am happy with the home brand of each surpermarket, they often taste as good and sometimes even better then the pricier brands. Or chocolate sprinkles or milk. 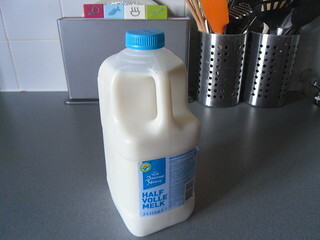 Nowadays I buy 2 liter milk from the cheapest brand there is, which is cheaper then 1 liter of a pricier brand. And I don’t taste the difference. Then again I can’t stand the taste of homebrand earl grey teas and gladly pay a little extra so I can buy Pickwick (an A brand tea) earl grey tea. Having good tastign tea is my priority over milk or chocolate sprinkles. Only buy Washing powder and meat when discounted. If you time it right, you can only buy washing powder and meat when discounted. I buy a very cheap brand washing powder for the black wash, which works fine, but I buy pricier brands for coloured wash and fabric softener. So for those I always buy them when discounted so it stays affordable. I dont’t buy a lot of meat and when we do it’s usually chicken or minced meat, which are both discounted regulary, so I always time it to buy multiple packages when discounted and then don’t have to buy anymore until the next discount. Buy products/veggies that are discounted. Before I start making my shopping lists I always check which veggies are discounted that week and if possible I try to make something with those. Now there usually aren’t that many veggies discounted each week, so I still pay the full price for most, but it can still save a bit when you can buy some discounted veggies. Make a shopping List. This one can really make a difference and it’s easy to implement. If you make a shopping list and strictly only buy what’s one there you can save money. Make sure to put everything you need on your shopping list and don’t buy anything beside that unless you know you forgot to put it on your shopping list. If you don’t have a shopping list, you might be tempted to buy more products because you can’t remember which products you already have and which not and as you don’t have a list taking more items than you need feels easier. Only do grocery shopping once a week. This one neatly ties into the last point. Plan the day on which you will do grocery shopping and make sure to only do grocery shopping on that day. If you write everything you need on your shopping list you don’t need to make additional trips. If I have to go grocery shopping twice a week I always end up buying more. Go Grocery shopping after you’ve eaten. When you have a full stomach all the sweets and candy won’t be as appetizing and you’re less likely to buy something you don’t really need. Grocery shopping on an empty stomach is the worst as everything looks delicious and you’re convinced you have to buy it. Buy in bunk or bigger quantities. If possible buy the larger packages. Especially with non-perishables this works, if you know you can eat the larger quantity before it expires buy the larger quantity as those are usually cheaper. This works well with for example, bread toppings like cheese or jam, pasta etc. Don’t buy things like Soy Sauce and spices at the supermarket. I am not sure if this is the case in other countries as well, but our supermarket charges a lot for things like soy sauce and spices. If possible buy these at a toko or asian supermarket, you’ll be surprised at the price difference, you often get more for a cheaper price. In our supermarkt I pay for 250 ml soy sauce the same as for a liter soy sauce at the asian supermarket. And I can get about half a kilo of spices for only slightly more than 40 gram in the supermarket. 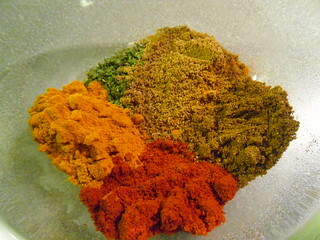 I use a lot of spices in my dishes and this really makes a difference for me. Bake your own cookies/ sauces etc. It can be handy to buy a premade sauce or package of cookies, but making your own is usually cheaper, especially in the long run. The first time you’re buying the ingredients like flour, sugar, butter etc it might cost more than simply one package of storebought cookies, but you can make a lot of cookies with it. Same goes for buying your own spices and making your own sauces instead of a store brought sauce. Or making your own egg salad instead of buying storebrought egg sald. Think of the long run. This one neatly ties in with the previous one, think of what’s cheaper in the long run. It might be cheaper this week to buy that package of cookies instead of all the ingredients to make them yourself, but you save money the next weeks. This is one I still struggle with sometimes, like should I buy multiple discounted bottles of washing powder now and pay a lot this week and save in the long run or only buy one so it isn’t too costly this week either. It’s easy to stay in the present and think of what’s cheaper now, but often it’s even more important to think of the long run and think what saves you money in the long run, while it might be pricier in the present. There are ofcourse limits to this one as there are probably limits to your storage places. I can’t store more than 4 packages of toilet paper even if I wanted to. Every cent counts. And remember every cent counts and even the small things can help. Get into that mindset and remember it when grocery shopping. It might not seem like such a big difference whether you buy brand A or B, as the price difference is small, but every cent counts. And even if you only save a few cents every week, it can still make a difference in the long run. What are your methods to spend less money while grocery shopping? great post. I’m always looking for ways to save money. You’re right every penny counts and adds up. My tips, don’t always assume that the bulk package is cheaper. The butter that I buy, the “family size” is actuators per ounce than the next size down. Also, look to see if you store offers “ugly” veggies at a discount. This is a new thing I’m starting to read more about. My store does offer yet, but I would be willing to cut out a bruise for a discounted price. It might seem like a small difference now, but indeed it really adds up in the long run. Oh that’s a good one, I usually assume the bulk package is cheaper and it often is the case. But indeed, it’s a good idea to always check the price to make sure it is actualy cheaper. That’s why I like the price per kilo/ piece that our supermarkt shows, it makes for easier comparisons. I never heard of ugly veggies discounts here, maybe over a few years. It would really depends on how bad the veggie is and when I need it for dinner whether I would be willing to buy ugly veggies. I’ve got an Excel sheet (one more !) on which I list the price/quantity of everything I buy so I know where to buy the less expensive stuff when I need it. Prices vary along the months, so I check regularly. I also buy seasonal products, no strawberry in winter, lol ! Since I live in the country, we can also buy straight from the local producer, it’s cheaper. I’ve got an excel sheet where I keep track of the total amount of income and expense for our household. Although keeping track of the exact price and quantity of eveyrthing you buy sounds like a lot of work! I don’t live out in the country, so buying from the local producer isn’t an option for me, but I cna see how that would be a good way to save money. I hardly ever buy strawberies at all, but especially not during winter, it’s crazy how much they ask for them then. Good tips! Great to read this; good tips! Especially since soon I will have to do my own grocery shoppings 😉 Thanks! Hope you can use some of these tips when you have to do your own grocery shopping! Asian markets! Yes! We usually get things like soy sauce, oyster sauce, etc at this Chinese fish market because it’s much cheaper. And we recently discovered this little Indian spice market and they have huge packages of spices (and rice, beans…) for much cheaper than those tiny jars at the grocery store! My mom definitely follows your washing powder tip! Whenever it’s super discounted, she stocks up! We have a TON, but she does use different brands for different loads of laundry. Like, I’m allergic to the scented stuff, so if my clothes or bedding are in the load she uses sensitive. But if it’s her bedding or dog stuff, she uses the scented. So we’re always on the look out for my washing stuff when it’s on clearance. Which actually happens super often, because I guess most people want scented laundry. It’s amazing how mcuh the price difference is if you can buy spices and soy sauce/ oyster sauce at asian supermarkets. The normal suspermarket charges way too much for a smnall jar of spices. I have two different brands, one for coloured laundry and one for black laundry and then fabric softener. I always try to buy 2 or more bottles once one of them is discounted as it can really help a lot. In our supermarket there are always certain products that are regulary discoutned and you can really wait for those discounts and get them for cheap, while some other products are almost never discounted. I wonder how they decide what to discount and what not. Wonderful post. Have you ever thought of making your own naan? 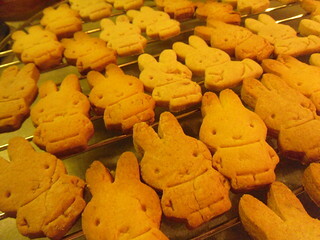 It’s super easy, just some yeast, sugar, salt and flour. I always make stuff from scratch if I can. I recently got a bread machine and we no longer buy bread, rolls, or buns. I substitute plain yogurt (a huge tub for only a couple dollars) for a smaller container of sour cream which sells for the same price. There are a lot of great substitutes out there and it seems that if you take the extra time and do it yourself (like mixing your own curry spices, spice blends, or chopping your own vegetable vs buying pre-cut) you save a lot of money in the end. I once made my own naan, but I thought it was a lot of work. Or maybe that’s because of the recipe I used, the dough was easy enough to make, but then I still had to bake them and I was trying to make dinner at the same time, it was a bit of a mess. And the recipe was for a lot of naans, maybe I should try a recipe for less naans next time. I definitely want to try making it again. Oh buying your own vegetables instead of pre-cuts is a nice one! I always do that as I prefer fresh vegetables and shopping them myself that I didn’t even think that some people buy pre-cuts and can save money that way. Nice tip! It’s the same here with yoghurt and sour cream/ creme fraiche, a whole container of yoghurt is as expensive as a small one of sour cream. Those are great tips. My husband and I do this a lot too ourselves to save money. We don’t have specialty stores for Asian supplies where I live, or at least that I know of, so we do have to buy our soy sauce the grocery store. But, we don’t buy it often so it’s not too big of an expense for us. We eat quite some soy sauce and spices, so then it really makes a difference. If you don’t buy it that often it’s probably not worth it going to a different store for it. Here we have asian stores in most big cities and our market even has a market stall for asian foods and products. Very helpful reminders, Lola! I co-teach a nutrition and cooking class for people on a tight budget and these are all tips that are on the list. I have several more, but they are specific to the markets here where I live. We do have paper coupons, in-store coupons, rebates, in-store clearance, daily discounts, and a few stores that are hi-tech enough for people to use their smart-phones and comparison shop prices with other local stores. Most super-market chains have regular annual, semi-annual, or holiday sale events that people can learn to anticipate and plan around. Honestly, you nailed it with your frequent mention of the word PLAN. Just planning out menus, tracking your supplies, tracking sales, and sticking to the list are the biggies. Oh how interesting to hear you co-teach a cooking class for people on a tight budget, that sounds so helpfull! I wish I could’ve attended one of those once I just started cooking myself. We don’t have coupons here or most of the other thigns you mentioned, it susprises me how many of those things are different in other countries. The supermarkt I shop at has a twice yearly returning sale called “Hamsterweken”, it’s a discount event to stock up on products and buy them in bulk. It’s twice every year once at new years and once around summer vacation. Beside that we don’t have many annual sale events. And indeed planning is one of the most important things, luckily I am a planner so that’s one of the things I learned pretty early! These are all great tips! I only grocery shop once per week, and my “discount” shopping is when I go to Costco here and buy in bulk, which is more of an initial investment but less money per item overall. Thanks :)! I think grocery shopping once a week is a very important one, I know how my mom forgot to buy some things and had to make more frequent trips and then ended up buying more than she needed. I wish I could do mroe buying in bulk and had more storage room for that, buying in bulk is one of the things I still struggle with sometimes. Our local store has a discount rack for their bakery stuff. Anything that is going to hit the “sell by” date in the next 2 days gets put there. It’s in the very back of the store, nowhere near the bakery! But we always start there because if we can get our bread and other things for 75% off we don’t care if it has to go into the freezer when we get home. We also freeze stuff we buy in bulk. Cheese can be frozen as long as you don’t mind it going crumbly when used after it’s been thawed. I portioned out a gallon of milk one week because it was a buy 1 get 1, and then froze the extra portions for the next week. Oh that sounds so neat to get bakery products with 75% off! I always freeze my bread, so that wouldn’t be an issue. I never realizes you could freeze cheese and milk! Luckily my milk is already very cheap, but I might give it a try when the cheese is discounted next time! Really good tips. My big tip is we buy the tougher cuts of meat called ‘chuck’ it’s usually prices cheaper because it’s not a great cut of meat, it’s touch when cooked and you can get a large chuck roast for the same price as a pound of hamburger sometimes. But if I cook the chuck meat in a slow cooker or pressure cooker it comes out really good and not tough at all. I also use coupons and do some shopping online where they will deliver it. I noticed that some Amazon prime pantry items like bulk items and noodles are cheaper than in the grocery store too. Oh that’s a good tip as well! I am not sure if they sell chunks here as I don’t buy a lot of meat as I am a vegetarian, but I can imagine how for many dishes those chunks work just as well as normal meat. I haven’t checked out online shopping yet as I can’t order from amazon and the only stores where you can order online are so clsoe by, that I prefer to just go to the store instead. Thanks :). I hope your mom appreciated this post. I really think shopping only once a week really helps. If I got grocery shopping more often I always buy more. There are some really good tips there. I’m always conscious of prices when I shop and compare prices without even thinking about it. It’s auto pilot for me. And I’ll buy whatever fruit and veg are on offer too in that weeks special buys. That way I get a bargain, plus I get lots of variety into my diet. The shopping once a week is a big thing but I often find myself having to make a trip during the week and that is when I overspend. Especially if I do it after work when I’m tired and hungry! I need to stop doing that! Nowadays it’s auto pilot for me as well. I always overspend when I have to make two trips as well, so I try to limit myself to one trip a week or else ask my boyfriend to get the ingredient I am missing. I have done grocery shopping when I am hungry a few times and oh it’s so hard to resist buying more then as everythgin looks yummy. Nowadays I go grocery shopping either after lunch or after dinner. Great tips! I also find it interesting the differences in our systems. I’m a coupon shopper to an extent – although a lot of the things I buy are not available in coupons (like veggies). I have never thought to go to Asian markets for spices – great idea, I need to check that out. I like to shop at the Mexican grocery stores here, because there produce and meat tends to be cheaper. And I use Aldi grocery (they don’t really carry name brands and its not set put fancy like a regular grocery store) for a lot of my other items – I’ve learned where things are cheaper. I can’t really stock up on things or buy in much bulk because, like you said, no space. We’re a tight fit in our apartment and don’t really have space for anything extra. Great post! I always find it interesting to hear about coupons and I wonder why we don’t have those here. It’s interetsign seeing those differences. Especially if you use a lot of spices, going to an asisan supermarkt really helps. I prefer to buy most of my groceries at one supermarket, but I make an expection for spices as the difference in money is so big. We have Aldi supermarkets here as well, but none close to where I live as far as I know. I would like to stock up a bit more in bulk as it can really help save money, but space is limited. Thanks! I am glad to hear you found it helpfull :). Shopping once a week and taking a list already helps a lot for me. lol, that certainyl teaches your kid to write thigns on the list. I usually remember a few things that aren’t on the list, but I try to minimalize those and onyl buy it if we really need it and I forgot to write it down. Making your own cookies and sauces is cheaper and indeed you know what goes into them and can tweak if you don’t like certain ingredients.